Due to illness, Robert Levin’s recital must be cancelled. We will announce a new date presently. One of Levin’s friends, Bernard Rands, instructs us in a YouTube video here, “Come with open mind, open heart, and open ears … give all music a chance.” Sound like Levin? When Levin hears a new piece that moves him deeply, he often asks its composer to write a piece for him. Over the years, his most cherished colleagues have dedicated numerous works to the internationally renowned performer and scholar. 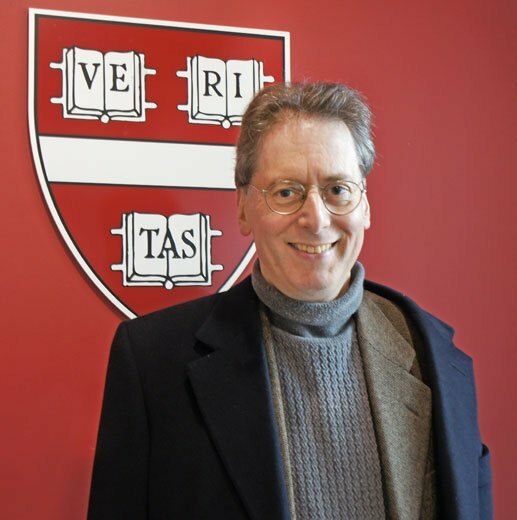 Professor Robert Levin, the inaugural Dwight P. Robinson Jr. Professor of the Humanities at the Department of Music at Harvard University, is soon retiring. In a parting gesture of “personal” expression, Levin will perform at Sanders Theatre, Wednesday, March 27, 8:00 pm. The newest piece on the program is Träume (“Dreams”) by Hans Peter Türk (premiere). Levin’s first meeting with the composer was at the Music Academy in Klausenburg (Chuj). Türk had submitted a tune for Levin to improvise on. Levin loved it and asked Türk to write a piece for him, but Türk felt he was unworthy of the request. Türk’s wife, Gerda, was a pianist, and if he were to write a piano piece, his first would be for her. Over time, Levin frequently texted Gerda; these messages, as it turned out, would have great meaning for her during her final illness. After her death, Robert insisted that the composer-professor now write that piece—“a kind of spiritual dialogue, a flexible discourse” involving her and perhaps Levin, himself. An open letter from the modest Hans Peter to Robert sent in lieu of a bio will be printed in the program. I can’t wait to see how it reads. Bernard Rands’ Preludes, a translational play of acrostics on Levin’s name, call for prodigious pianism. We can expect flair and volatility in his music as in Levin’s performance approach. The Preludes were co-commissioned by the Ruhr Piano Festival and Maria and Robert Skirnick of New York. Levin describes John Harbison as “a composer steeped in historical tradition.” Levin got this composer to write a sonata for him. Harbison’s Piano Sonata No. 2 “is one of the best deals in history—costing only a buck.” Levin, having had to wait a long time for the work, which prompted Harbison to suggest writing a contract for one dollar—a “commitment contract” as it were. Theirs is a long interaction manifested in a variety of ways. The final movement of the sonata, written later when Harbison realized there was something missing, is “spiritual, a set of variations in which each hand mirrors the other, and the entire work displays a grandness of architecture and rhetoric” that Levin thrives on. Levin’s far-reaching commitment to new music comes with his desire to take music’s power to transform people’s lives. Levin’s fall on the ice en route to Harvard provoked an occasional piece, Mano à Mano, from Pulitzer Prize winning Yehudi Wyner—one of many such pieces Wyner based on events that came up in conversation with Levin. Once, Levin prepared spaghetti dinner for the students of Music 180, the chamber music/analysis course founded by Leon Kirchner and taken over by Levin, who characterized his made-from-scratch pasta sauce as “full of fragrance and unctuousness.” Soon thereafter, a piece entitled Sauce 180 came Levin’s way, just one of the composer’s pieces the pianist-improviser-teacher will be playing in his very special concert. From the Harvard Chair, “In recognition of Robert’s unique contribution to musical life at Harvard on the occasion of his upcoming retirement, we have also launched an endowment that will be used to fund a prize to honor the best musical performer in each graduating year. The award will be called Robert Levin Prize in Musical Performance.